Home > Cafe, Syd: Pyrmont, Sydney	> Cafe XXII … dinner this time! Cafe XXII … dinner this time! This definitely has to be one of my favourite cafes and I couldn’t go back to Sydney without having dinner here! Had brunch.. but dinner – that’s another different story! Took a couple of our friends here for dinner, and I have to admit, Café XXII is still one of the best restaurants in Prymont. Open every day for breakfast and lunch, however, dinner is open from Wednesday through to Saturday. Menu changes every second day, except for two things that stays on – their specialties – salt and pepper calamari and lasagna. After Alex (our lovely waiter) ran through the menu we decided to share two entrees and get a main each. We thought we would ‘deal’ with dessert later on but wanted to make sure that we had room for it! We got the salt and pepper calamari as a main and got the seared scallops with zucchini puree. 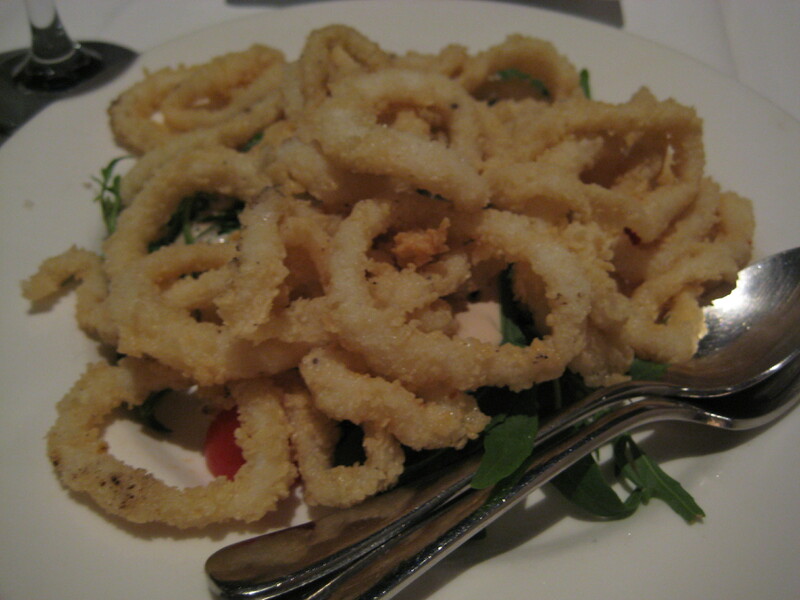 The salt and pepper calamari was served with rocket leaves and tomatoes. It was light and the rocket leaves gave it a nice bitter taste. It is definitely their specialty. The seared scallop with zucchini puree was divine. 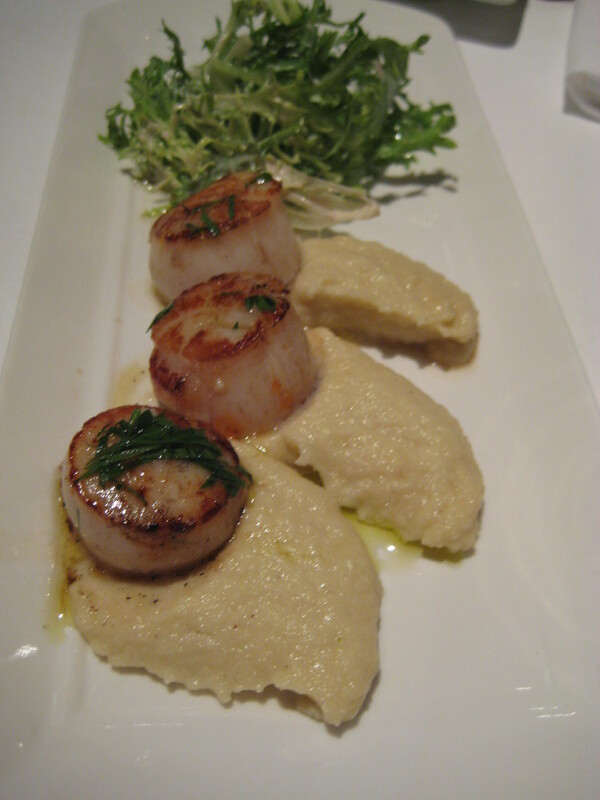 The scallop was lightly pan fried and the zucchini puree really gave it a nice touch! 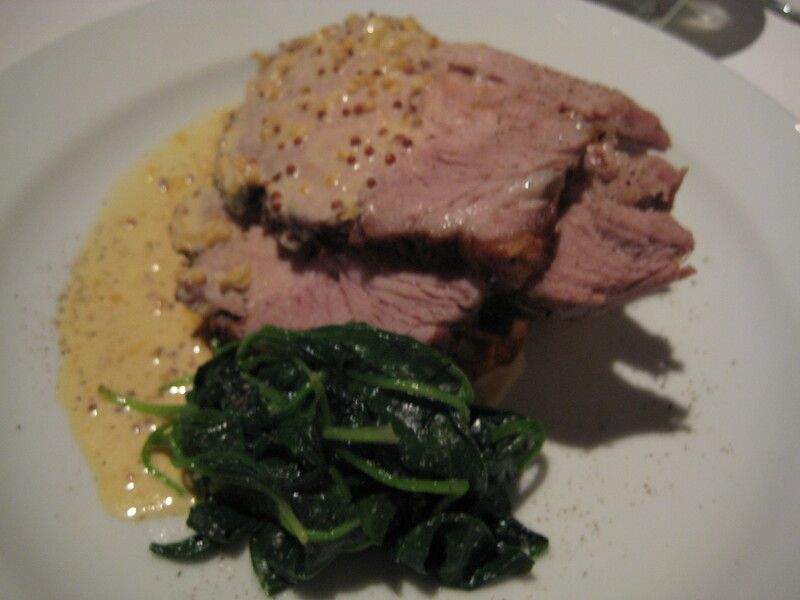 I had the roast pork with mustard sauce, pumpkin and spinach. 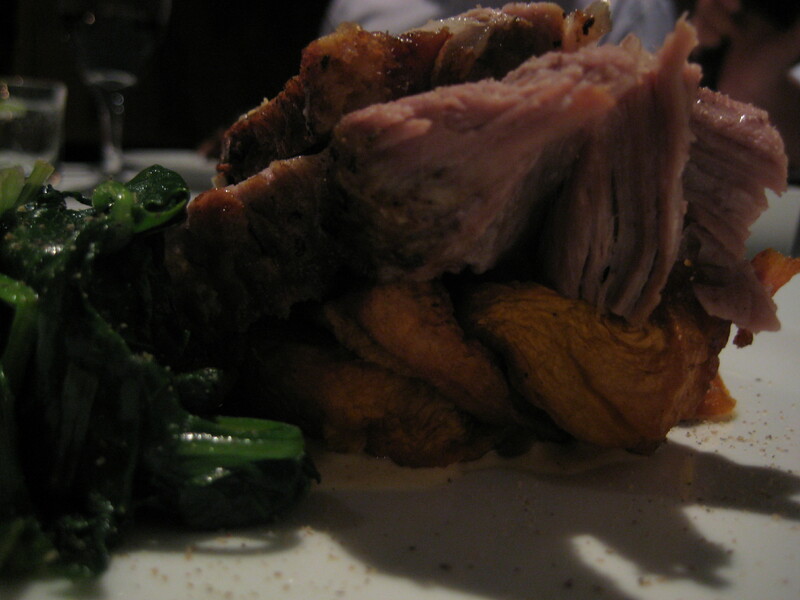 The pork was unbelievably tender, the mustard sauce was delightful and the pumpkin and spinach was a great compliment. 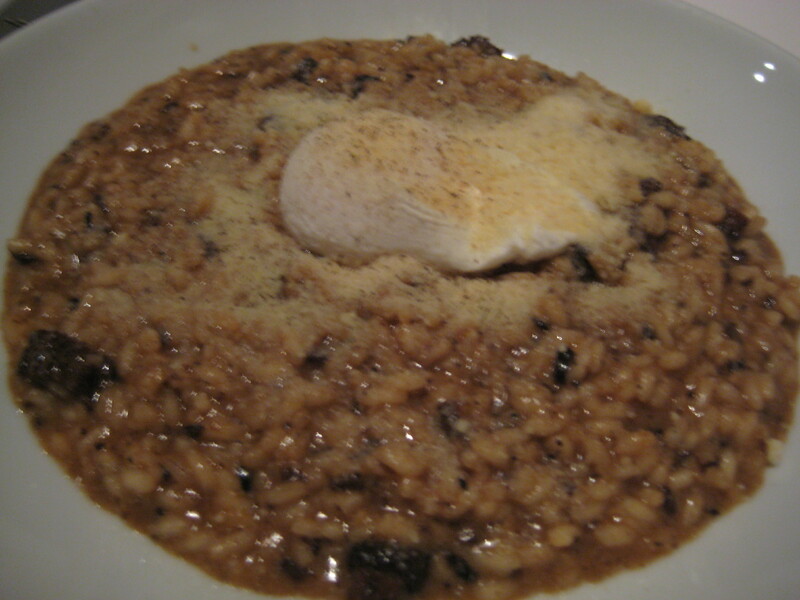 N had the truffle risotto with poached egg and it was tasty! You could taste the truffle infused in the risotto, it was rich but not sickly. It was a very generous serving! Don’t think N could have finished it if J didn’t help but it was GOOD! J had the lamb with kippler potatoes and jus. Lamb was medium rare and cooked to perfection. 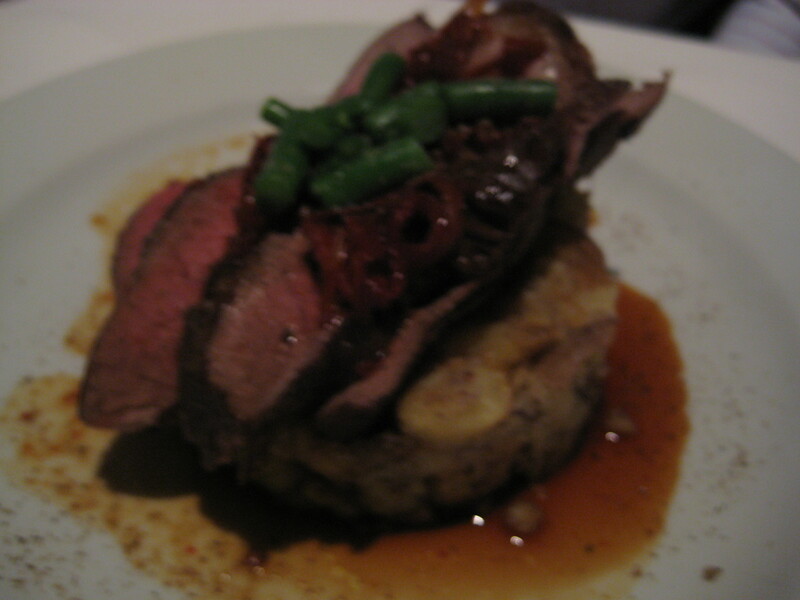 I am not a huge huge fan of lamb so didn’t really try this dish, but J seemed to have enjoyed it. For dessert, N and I got one each. I wanted kahlua tiramisu (which I always get at this place as I believe it’s the best around!) and N got the chocolate bar praline and vanilla bean icecream. The tiramisu came in a HUGE wine glass – this is the first time I have seen it. 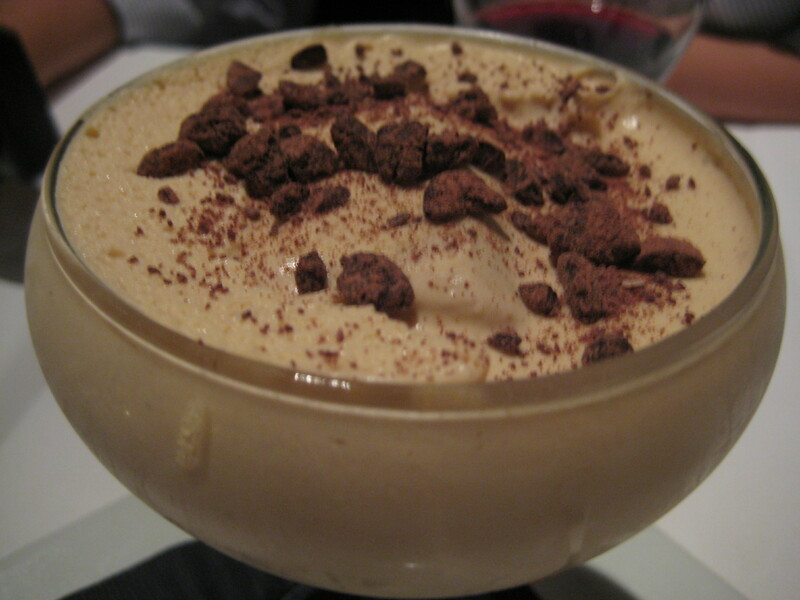 It usually comes in a small drinking glass – so was a little ‘surprised’ but was happy – more tiramisu for me. The tiramisu is definitely one of the best I have had. Its creamy and not super rich, you could just taste the kahlua and the chocolate sprinkles really gave it that extra flavour – you can’t have enough chocolate in my opinion. 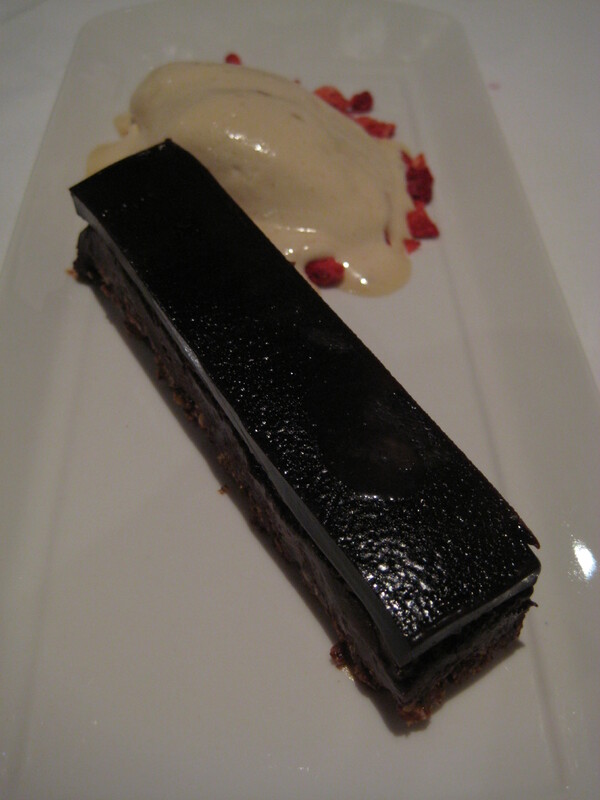 The chocolate bar praline was unbelievably rich and a tad heavy for our liking. Thankfully, J, who doesn’t really eat sweets helped us finish it. It was just a little too rich, if we had coffee or tea it would have probably drown the richness, however, it was still excellent. Fantastic meal at Café XXII again… There is a reason why I keep coming back. Have taken many friends here and they have all been content! A must on my list of restaurants to go to whilst in Sydney. It all looks divine!! Def’ly a fantastic place to eat. Have to agree, one of the best Tiramisu I’ve ever tasted. Pizza’s @ Young Alfred Great food, great wine, most importantly, great company! Fish Face Revisted.